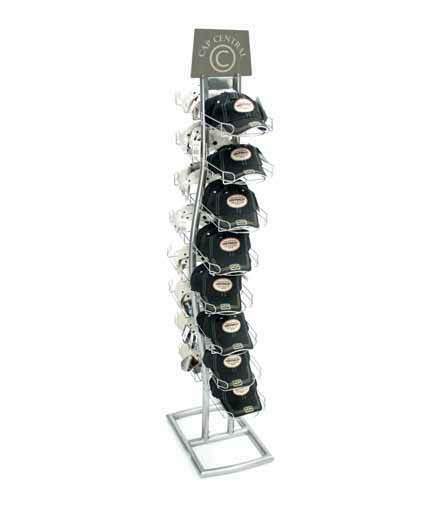 Our CAP-12ECO is a single-sided cap display featuring a metal tube base on levelers, a 2-part frame and 12 removable cap pockets. Each cap pocket holds 8 caps for a total of 96 caps per unit. 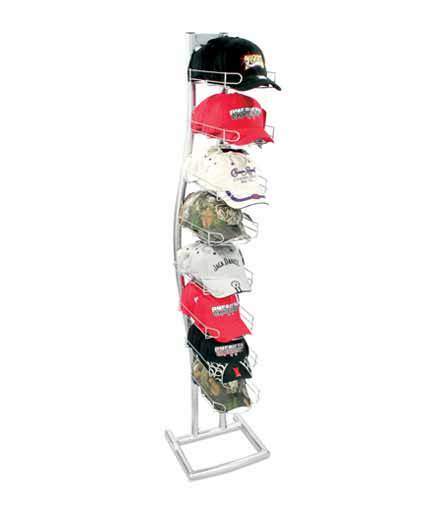 Like our other hat racks, the CAP-12ECO offers a knock-down design which is cost-effective for shipping and storage. It assembles in less than 5 minutes with no tools required. The unit comes with a black powder coated finish. 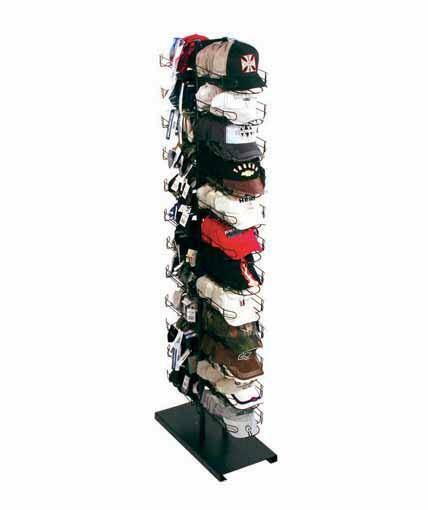 Dimensions L 16” W 14” H 65” Why the CAP-12ECO is So Popular The CAP-12ECO is a winner among hat displays. It is extremely affordable and offers a compact footprint. 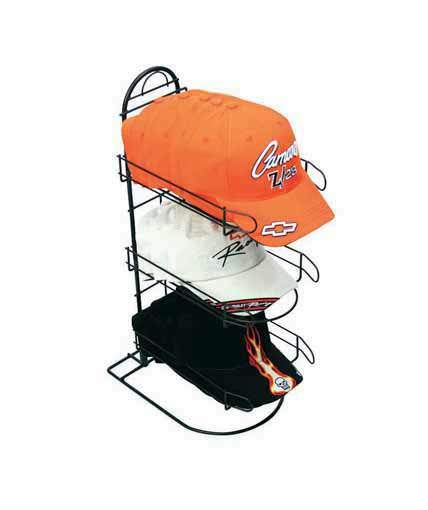 Its wire cap pockets keep caps well organized and feature a minimalistic design which puts the focus on the hats rather than the hat display stand. 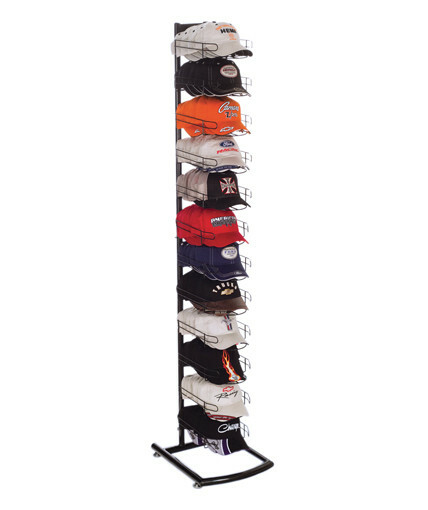 It is simple to remove the cap pockets so the display can be used for programs involving less than 12 SKUs. 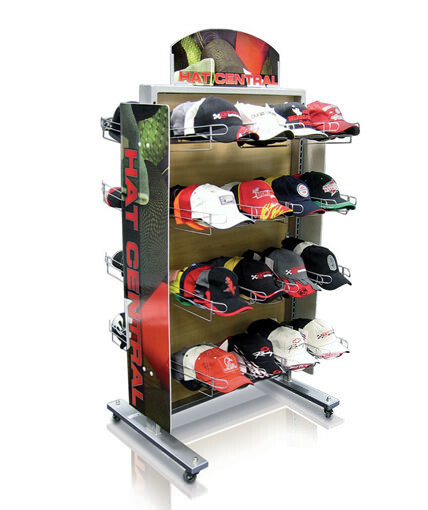 Our customers use this hat display rack in a wide variety of retail environments such as convenience stores, automotive aftermarket stores, airport stores, grocery stores, drug stores, sporting goods stores, gift shops, golf shops, apparel stores, and other mass market and specialty stores. 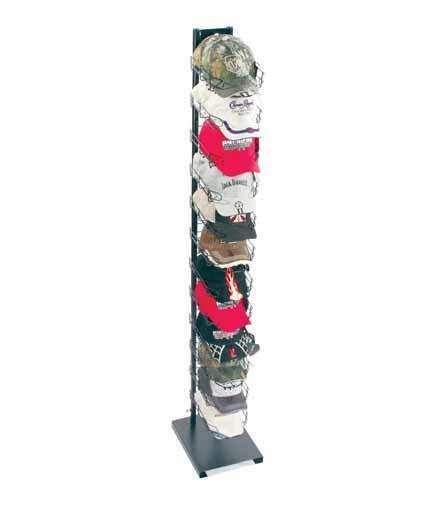 The combination of the CAP-12ECO’s economical price, high capacity, and small footprint make this unit an ideal choice among headwear displays.